Armando and I went on our first ever Asian trip together this past November…Singapore, Myanmar and Thailand. We fit so much in our 2 and a half weeks and although we took ten flights during that short time and spent hours in airports, we still saw and experienced so much. I thought I’d share with you some of the highlights. Armando wanted to visit this commercial capital and I wanted to experience the safest country in the world…first stop: Singapore. 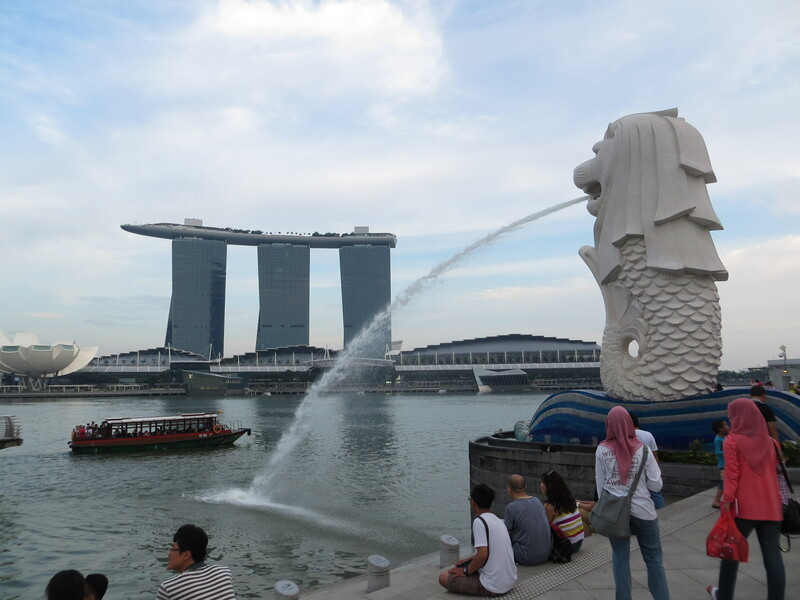 This is a picture of Marina Bay Sands hotel in the distance with Merlion the Lion in the forefront. Singapore is known as the shopping mecca of Asia. Malls, designer stores, escalators to more malls and stores. A shoppers dream. From luxury shopping on Orchard St and deals in Chinatown to everything under one roof at Mustafa’s Centre – I have never seen a store so large in my life! They say it’s a shopping mall but it feels like one big department store….at 400,000 sq. ft.!! Funny little moment was when we were in Chinatown, I was going on about how cheap everything was just as Armando overheard two girls talking about how expensive everything was compared to China. Guess I need to visit China next! 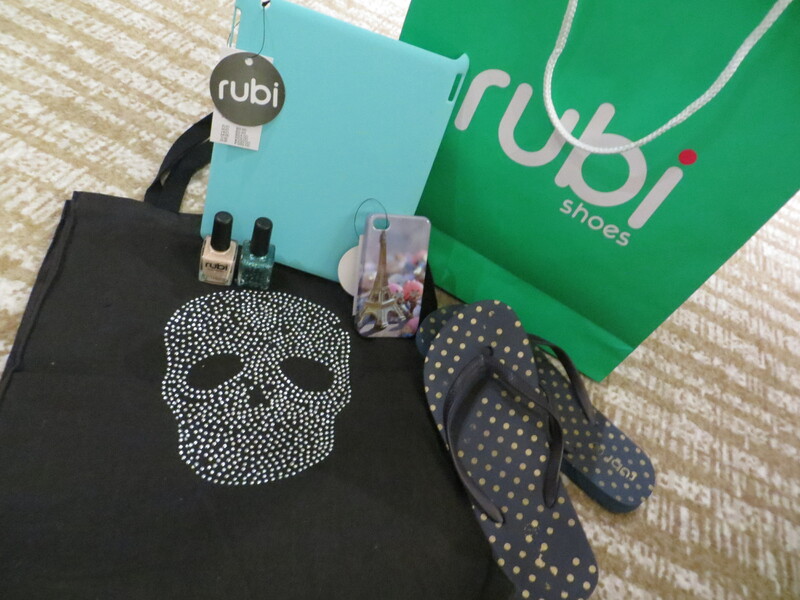 My extent of shopping was lining up for the Grand Opening of a new store to get a free bag full of goodies that included flip-flops, nail polish, phone cover and a tablet cover. I love freebies!! 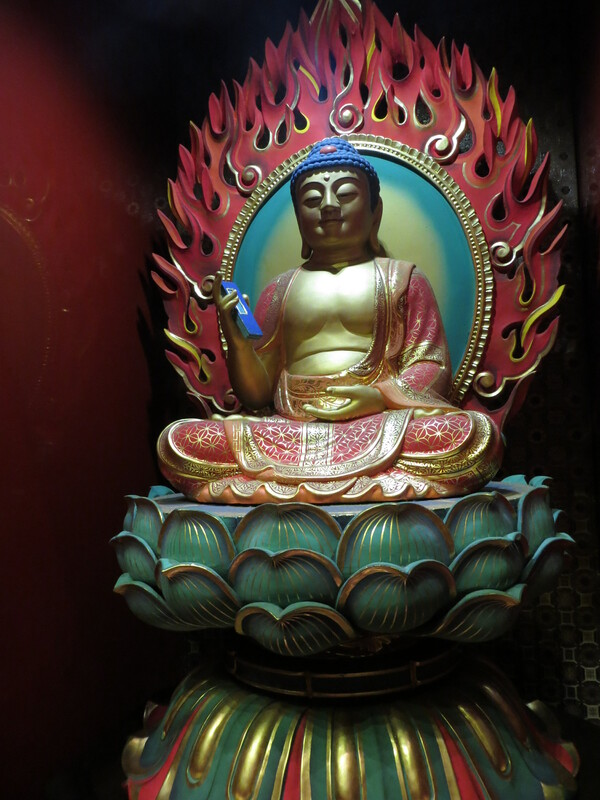 We were happy to get out of the shopping district that surrounded our hotel and found an unexpected surprise at the Buddha Tooth Relic Temple. As we walked through the temple we both felt a sense of happiness. It seemed joyous and welcoming. We both agreed that it was a stark contrast to the many Catholic churches that we’ve seen around the world that although magnificent, were dark and intimidating. It was an unexpected surprise for a place to give us such good vibes. 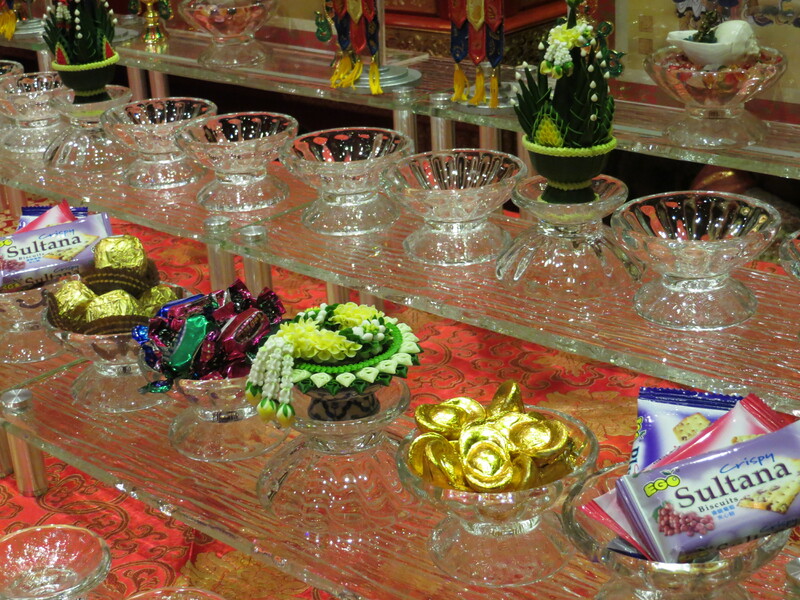 Offerings of Sultana crackers and Ferrero Rocher chocolates at the Buddha Tooth Relic Temple. I like this place! According to Armando, this is “Buddha of the Cellphone”. Singapore has some really unique areas. From Chinatown to Little India, Arab St. and Orchard Rd. As you get off the Rapid Transit train, you feel like you are entering a new country with the change in sights, sounds, smells and people at each stop. 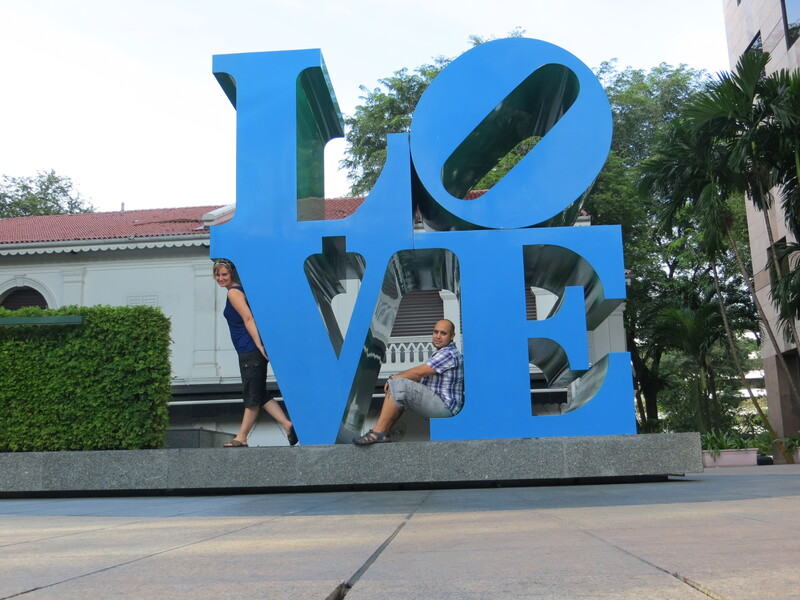 We loved touring the different areas of Singapore. Waiting at the station to catch the MRT train. Next post is solely dedicated to foods of Singapore…my mouth is watering just thinking about it! Fun! Can’t wait for the next blog!